VATICAN CITY- Francis has called on people in developed countries to live a simpler and less materialistic life. He also condemned the huge divide between the world’s rich and poor, saying Jesus’s birth in poverty in a stable should make everyone reflect on the meaning of life. 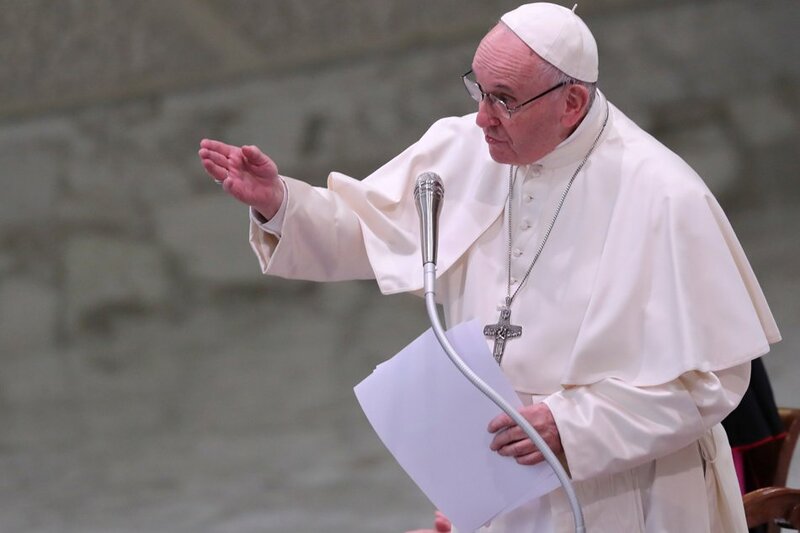 He spoke out while leading a service in St Peter’s Basilica in the Vatican for the traditional Christmas Eve Mass. It is the 82-year-old’s sixth Christmas as head of the Roman Catholic Church. In his homily according to a video by BBC world service, Pope Francis said the birth of Christ pointed to a new way to live “not by devouring and hoarding, but by sharing and giving”. He continued: “Let us ask ourselves: Do I really need all these material objects and complicated recipes for living? Can I manage without all these unnecessary extras and live a life of greater simplicity? Francis, the first Pope from Latin America, has made highlighting the plight of the poor a key theme of his papacy. During Christmas Day Mass in 2016 he warned that the true meaning of Christmas was being drowned out by materialism. The Pope Francis also assailed the “insatiable greed” of today’s consumerism, calling on people in his Christmas homily to make “sharing and giving” more a part of their lives. “In our day, for many people, life’s meaning is found in possessing, in having an excess of material objects,” he said. The birth of Christ pointed to a new way to live “not by devouring and hoarding, but by sharing and giving”, he said during a Christmas Eve mass. We “must not lose our footing or slide into worldliness and consumerism,” he added.